In 2008, Jon helped organize two state-wide committees with over 50 Iowa educators of all walks to evaluate Feasibility and Curriculum. 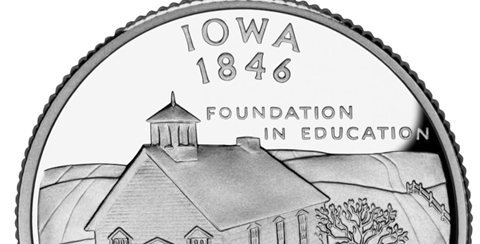 From those efforts the white paper“Restoring Iowa’s World Class Education System,”was published. From Mission Alignment and Infrastructure Integration to Academic Entrepreneurship and Parental Accountability, this vision is thorough, well researched and actionable. #2 Jon supports restoration of local control of curriculum and funding. No Child Left Behind and Common Core Standards should be replaced by responsible exit criteria. Slavish devotion to “No Child Left Behind” and the irresponsible pursuit of “Race to the Top” funds has diminished the excellence of education in our state in general, and placed in peril urban education in Iowa. #3 Jon’s campaign will make history. 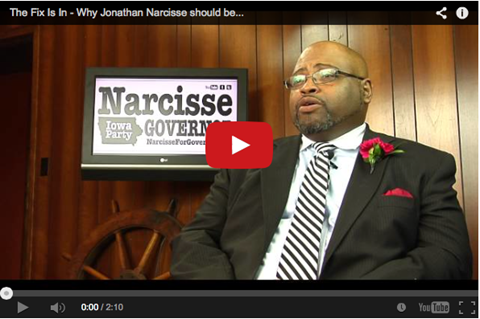 With only 2% of the Iowa vote for Governor, Narcisse will officially establish The Iowa Party. Iowans will now have an accountability party, rather than partisanship – unified behind the scenes – to keep us at odds with each other. This means voters where they live will be empowered to hold elected officials from local legislators and school board members to state-wide legislators and district judges accountable for their actions. Below is a summary of the 10 facets of Narcisse’s Education Reform Plan. No Child Left Behind has uniquely damaged education in our nation and our state. Instead of educating students we now find the academic emphasis placed on teaching to the test if not outright cheating. For example a school in Davenport, Iowa was cited for attempts to cheat on testing. By opting out of No Child Left Behind we once again place Iowans in charge of Iowa’s education system, the first step to restoring true excellence in public education. Most damaging is that No Child Left Behind has been allowed to define outstanding school districts, schools and excellent teachers in Iowa as failing and failures. And with the designation of failing or in need of assistance comes real consequences including disruption of staffing connected to the communities most in need of stability in instruction. Common Core is a reckless and irresponsible effort to centralize education under federal and state authorities despite empirical evidence that all such attempts have diminished the quality of instruction which is best when it is localized to both the community and the unique learning styles of the student. 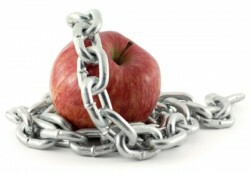 This cookie cutter approach harms our schools and our students. Iowa once had the best public education system on the planet, in part, because of local control. A top down approach to education ignores the single most important factor in public education – teachers become teachers because they love teaching children. Our current system has not just ignored this fact, it has violently assaulted it. When teachers are not only given the responsibility for outcomes but the power, authority and resources to succeed, they not only excel during school hours, they put in significant hours off the clock to ensure their students learn and thrive. They especially connect with families and become integral parts of the community. When teachers are treated as replaceable cogs this disconnect becomes part of the most unreported category of drop outs in our education system, in America generally and Iowa specifically. Both social promotion and social retention have failed in our age grade progression system that pretends at the beginning of each school year students return at the same place in the text book regardless of where they were at the end of the school year. This approach has proven discouraging to advanced students, crushing to students in need of remediation and the distractions created by these two groups often takes away from the ability of those in the middle to learn. By moving to a model that advances students based upon their mastery of skills and knowledge, as we do in areas such as music, we meet the student where he is and increase significantly the chances of him having a successful academic experience. In 1950-1951 Iowa had 4,652 school districts but it did not have 4,652 superintendents or bureaucracies. We had for many districts, County Superintendents. Why? Superintendents were not meant to be instructional leaders but business managers. Today Iowa’s schools are dominated by an out of control bureaucracy. The Albert City-Truesdale School District not only has a 1 staff per 2.5 student ratio it has nearly a 1 classroom educator to 3 non classroom staff ratio. At the Regents level, the bureaucratic excess is even more egregious, with 1 staff per 1.7 student ratio. By returning to the simple concept that efficient, professional, focused bureaucracies are limited to those functions principals and teachers are restored as instructional leaders and hundreds of millions of dollars in resources are then freed up to properly compensate building level educators and to invest in the education of our students. While our campaign advocates a path to funding college education for all students who choose to go to college not every student in Iowa wants to pursue that path. In a state investing tens of billions of tax dollars directly in construction (schools, government offices, jails/prisons, road construction) and tens of billions more in subsidized construction through T.I.F. (Tax Increment Finance) districts, tax credits and Iowa Finance Authority grants and bonding, we ought to be making an investment in training Iowans for those high paying jobs as welders, carpenters, electricians, plumbers, etc. In many instances those jobs pay much more than public sector jobs like teachers and even many private sector positions. As a graduate of Des Moines Technical High School my classmates graduated and entered the middle class. High School in Iowa has become, in too many instances, inadequate to meet the needs of our students. As a result tens of thousands of juniors and seniors are now educated through our community colleges. Recognizing this fact the time has come to merge our junior and senior years of high school with our community colleges creating an 11-14 option with an emphasis on vocational technical instruction, college prep or remediation. This would not prevent junior and seniors from participating in traditional extracurricular activities or a 12th grade graduation. It would add two potential years onto a students academic career before college addressing several current challenges from the lack of flexibility in start times that diminishes the academic success of older students to actually preparing them for post secondary success – currently a real problem in Iowa with approximately 80% of our graduates entering college inadequately prepared to succeed at that level. From there we are able to invest the significant savings on the front end with about $50-75 million made available to work with parents of children from 1-3 and the rest invested in offering full-time (optional) early childhood instruction using an interdisciplaniry model with an emphasis on teaching art, music, languages and those things we know not only better prepare young minds for lifelong success but increase their ability to excel in STEM pursuits, i.e., we know teaching music is teaching math. This would have the added bonus of potentially saving families with young children hundreds of millions currently spent on childcare in a state where more two parent working households exist than in all but two other states in the nation. In Iowa funding follows the child with a few exceptions. The district a child goes to gets the general aid, the title money, the ESL money, the school construction money. And should a child leave that district the dollars follow. One exception would be P.P.E.L. 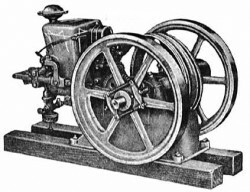 (Physical Plant Equipment Levy). But in almost every other instance it is the unique child that generates funding for school districts. Unfortunately once the District’s bureaucracy gets the funding the money does not reach the building or classroom levels. As a result teachers buy supplies as do parents, teachers make meager salaries and central administration bureaucrats often make what two to three classroom teachers earn. By spending the money at the building and classroom levels we can increase teacher compensation, purchase technology, supplies and even fund supplemental staff such as parent-community coordinators. 9. End The Over-Building Boom! In Iowa there are districts with legitimate facility needs. Unfortunately those districts often still fall short in funding based on the current per pupil allocation of the sales tax construction dollars. Under the current system the rich, such as Waukee and West Des Moines get richer and the desperate suffocate. 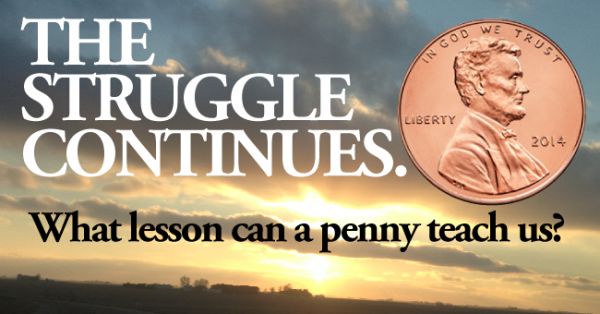 Literally there are districts in Iowa forced to spend their construction dollars on multi-million dollar athletic facilities while teachers are underpaid or laid off and cans have to be placed in convenience stores asking for money to purchase text books and instructional materials. At some point common sense out to prevail and this is an area it must. What was meant to be a tax to help school districts with facility needs has become a defacto appropriation to the construction industry. Meanwhile our schools and children are losing out. On January 3, 1993, Iowans woke up to Terry Branstad as our Governor, Tom Harkin and Chuck Grassley as our U.S. Senators, Jack Hatch in the legislature and six members in the United States House of Representatives. On January 3, 2013, Iowans went to bed with Terry Branstad as our Governor, Tom Harkin and Chuck Grassley as our U.S. Senators, Jack Hatch in the legislature and four members in the United States House of Representatives. No single piece of data so powerfully documents the stagnation of our state than this fact. We propose many measures to grow our state but one of the most important is the campaign to keep our young people in Iowa. To accomplish this we start by offering them a free college education to our Regents Universities – Iowa, Iowa State or UNI – or a comparable cash match to a private school in Iowa if they will stay in the state a year for every year we pay for and give us 40 hours community service per summer. This would not only keep our best and brightest in Iowa but families with college students would save hundreds of millions they currently have to spend from savings, earnings or loans to finance their child’s post secondary education either instate or out. This would result in 3 to 4 million hours of community service per summer in all 99 counties and upon graduation our young people would become full fledged Iowan citizens and residents debt free or relatively debt free. This means billions of dollars that would be sent out of state to repay student loans over the next few years would stay in Iowa allowing our new graduates the flexibility to truly build a life in Iowa with families financially positioned to help them. Please vote Narcisse for Governor on November 4th. And, remember….if you vote straight ticket, you can still select a non-straight-party candidate for any single race and only that vote will be counted for that race. Iowa Voting Statute Says So!